The inner city nightlife overflows into the dark fissures of NYC’s underground quarter. Cross the waters that divide, to dimly lit streets that weave an industrial gridwork throughout Gotham’s historical breeding ground of cutting-edge music. 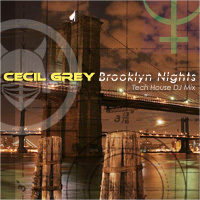 Cecil Grey’s throbbing Tech House rhythms echo the heartbeat of the city’s sensual secrets, as sophisticated electro-melodies blend into a unique cultural tapestry. January 19th, 2009 | Tags: Cecil Grey, DJ, downloads, Knights of Pan, mix, MP3, podcasts, Tech House.